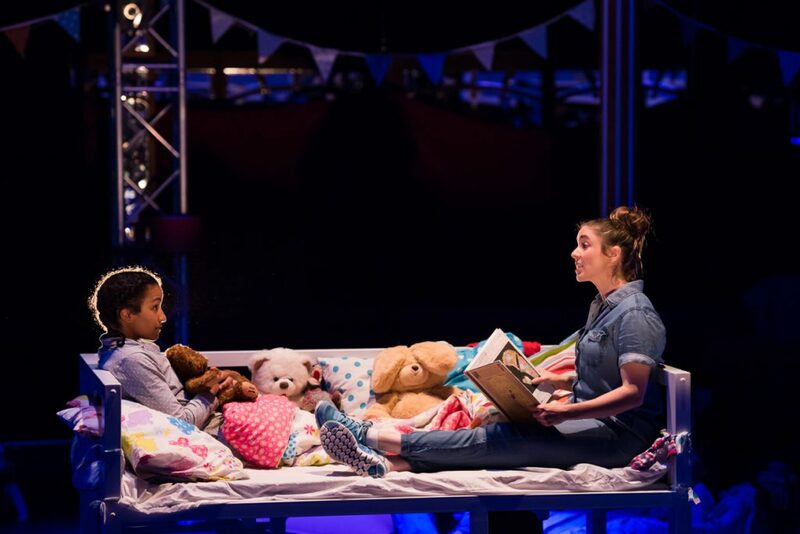 In a giant childhood bedroom, amongst blankets, pillows and teddy bears, the audience can unwind in comfort and enjoy this endearing, award-winning production. Out of the rituals of bedtime, a poignant story unfolds in the mysterious space between waking and sleeping, as a young girl is caught between her imaginary friend and her busy mum. 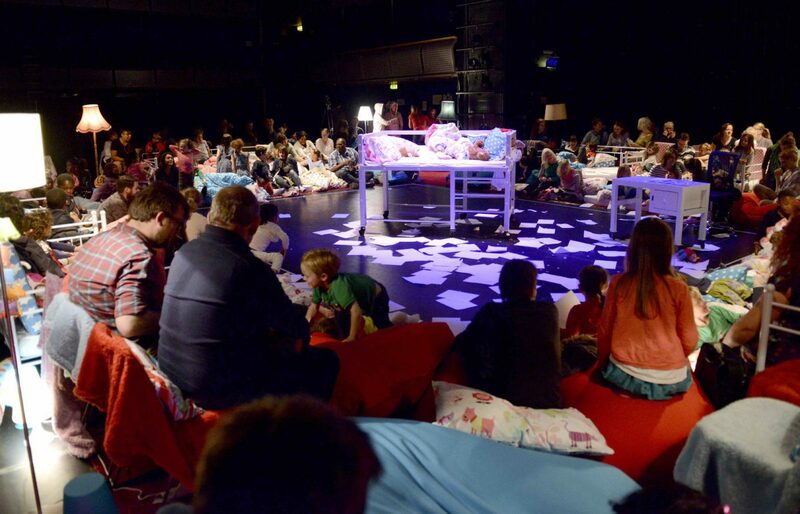 Artfully weaving together storylines that touch all ages, Bedtime Stories tugs at the heartstrings by exploring the struggles contemporary families face in finding time together. The result is a starkly resonant piece of storytelling in circus that blends aerial silks and acrobatic adagio with enchanting projection to transport its audience into a night-time fantasy world, which has remarkable parallels to their own. With additional acrobatics coaching by Dannick Chollet and movement direction by Krista Vuori. Special thanks to Theresa Heskins, Okorie Chukwu, Sarah Winn, Emily Mytton and all the participants who have contributed their time and voices to devise the piece, particularly young illustrators Arlo, Casper, Gabriella, Hattie and Jenny. Hong Kong International Arts Carnival, London Wonderground, Hackney Showroom London, Buenos Aires Argentina, Arnolfini Bristol, The Albany London, Contact Manchester, Forest Arts Centre Wallsall, The Gulbenkian Kent, Pontio Bangor , Stratford Circus London and the Edinburgh Festival Fringe. For more information and booking in the UK please contact Camille@upswing.org.uk. 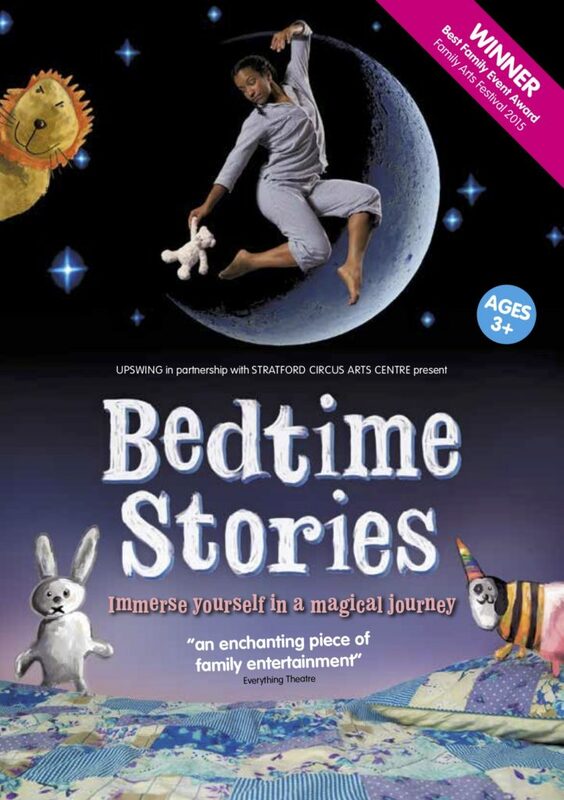 Bedtime Stories is produced by Upswing in partnership with Stratford Circus with the support of Appetite Stoke, Creative Black Country, The Austin and Hope Pilkington Trust, The Leche Trust, The Albany, the Hangar Arts Trust and Jacksons Lane. Supported by The Point, Eastleigh.